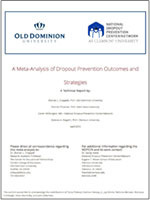 The National Dropout Prevention Center makes selected major research reports available online. 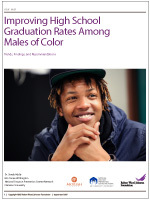 The National Dropout Prevention Center is pleased to offer a collection of films, tools, webinars, slide presentations, and articles that are designed specifically to assist practitioners who work to improve graduation rates in rural schools and communities. 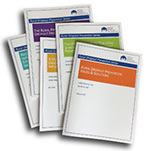 We invite you to review these resources and utilize them to support your work. T. Dary, T. Pickeral, R. Shumer, & A. Williams. National Dropout Prevention Center/Network. Clemson, SC, September 2016. 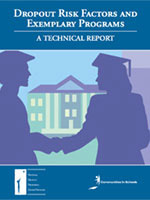 (A Technical Report in Collaboration with The Center for Educational Partnerships at Old Dominion University). S. L. Chappell, P. O’Connor, C. Withington, & D. A. Stegelin. Clemson, SC: National Dropout Prevention Center/Network. April 2015. C. Hammond, S. F. Drew, C. Withington, C. Griffith, C. M. Swiger, C. Mobley, J. L. Sharp, S. Stringfield, N. Stipanovic, & L. Daugherty: National Research Center for Career and Technical Education, Louisville, KY, April 2013. 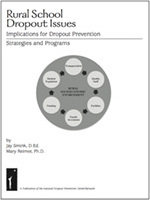 Smink & M. Reimer: National Dropout Prevention Center/Network. June 2009. This NDPC/N report was prepared for the Gilmore Foundation, Amory, MS. 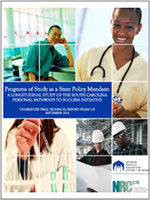 It provides a brief overview of national dropout issues— both data and risk factors, with emphasis on those in rural areas—and then focuses on the particular factors that have the greatest impact on students in Mississippi, presenting the critical challenges for rural areas; and recommending strategies and programs to address the issues discussed. C. Hammond, J. Smink, & S. Drew: National Dropout Prevention Center. D. Linton: Communities In Schools, Inc. May 2007.